I have worked on this colored pencil drawing for a while now. 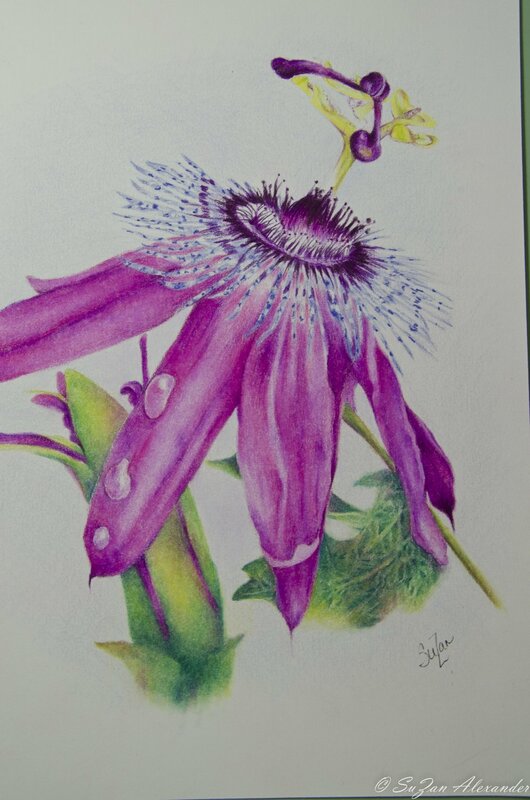 These Passion Flowers are such unusual little beauties and I thought it would be a fun challenge to draw one. As I was working on this yesterday, I kind of hit a wall as to how to bring it back from the brink. Then, I remember being told once that there are only unfinished paintings in various stages of unfinish. I decided it might be time to embrace that philosophy. So, I asked myself what I had learned from this exercise and gave myself permission to move on. I'm not at all happy with the results, but I have more blank paper where this one came from and an infinite number of inspirations to practice more drawings.